Last April 23, 2017, the 6th BPI Cards Durianman Triathlon, one of the country’s triathlon races with cross-channel swim, closed strong with over 300 participants flying in to participate in this milestone. Durianman, as it is fondly called, is now a noteworthy yearly event for triathletes due to its unique features and landscape. The participants came from different cities and countries including USA, Taiwan, Brunei, France, Netherlands and India. Durianman is currently the biggest standard distance event in Davao region, and it’s also one of the highlights of Davao’s biggest tourism campaign – the Visit Davao Fun Sale. During the recently concluded competition, the participants considered it one of the most challenging races yet, due to the unpredictable strength of the current of the Pakiputan Strait. This strait was part of the standard route for the race. As the current commanded a route adjustment, the organizers decided for a deep water start, which was more favorable for the athletes to reach the swim exit in a safer manner. 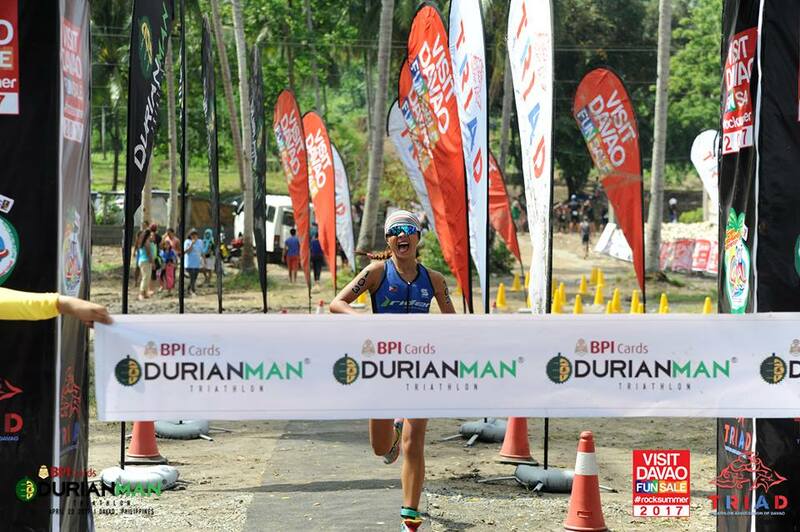 “This year’s BPI Cards Durianman Triathlon was one for the books and it definitely raised the bar of triathlons here in the region. 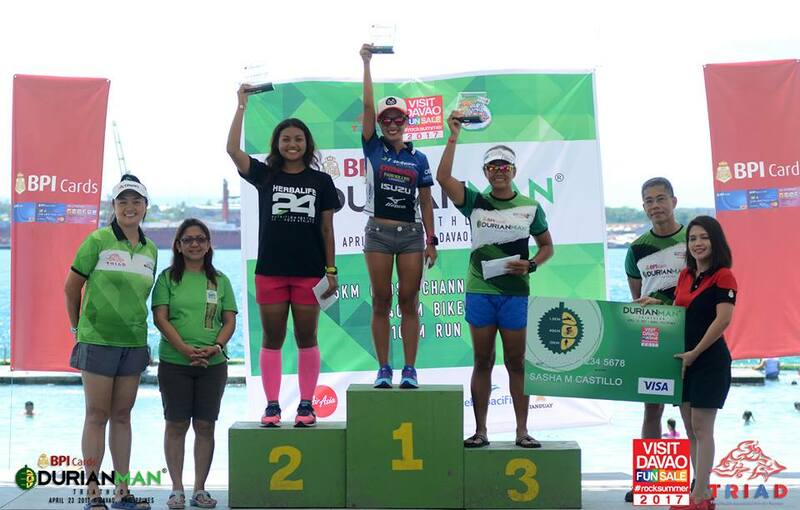 The challenge of the race is too sweet to pass on and we are confident that its uniqueness will attract more triathletes in our future races,” shares Durianman race organizer, JJ Sarona. Currently, this is the biggest event organized by TRIAD (Triathlon Association of Davao), and its success garnered more interest and excitement for the next races to come. 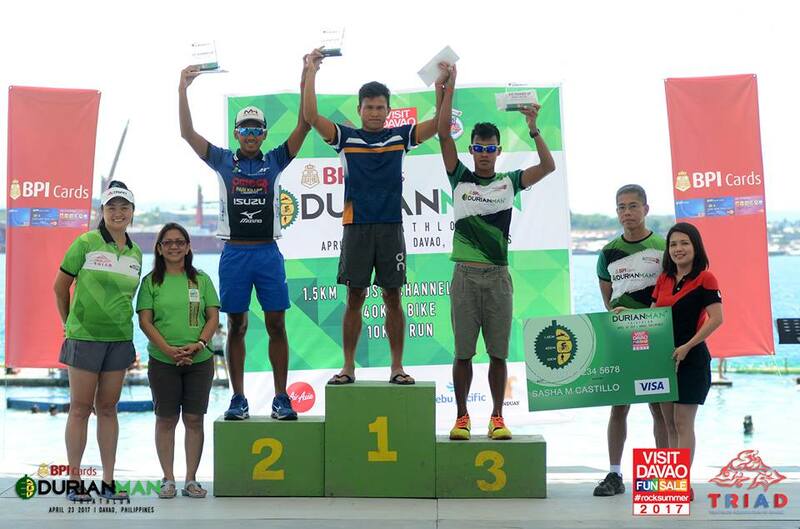 The 6th BPI Durianman Triathlon is co-presented by the Department of Tourism, City Government of Davao, AirAsia, Bonamine, Tempra, BPI Cards, Tanduay, and Cebu Pacific. PREP is the official PR partner of the Visit Davao Fun Sale.